Permanent and waterproof wax crayons are excellent for marking on cardboard, paper, wood, aluminum and Plexiglas®. Jumbo sized, they're big enough for all jobs and won't get lost in a tool box. 5" Long, 9/16" diameter. 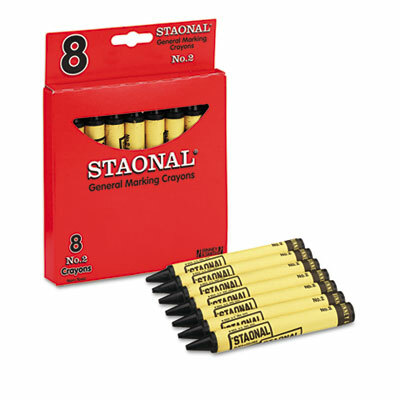 Staonal industrial crayons provide a safe, long-lasting alternative to permanent markers. 8 Crayons in a box.